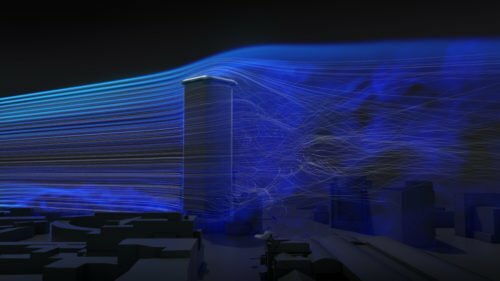 Engineering agency LBP | SIGHT and Stebru asked Actiflow to visualize the wind climate around the new built. Stebru develops, builds and supplies building management. 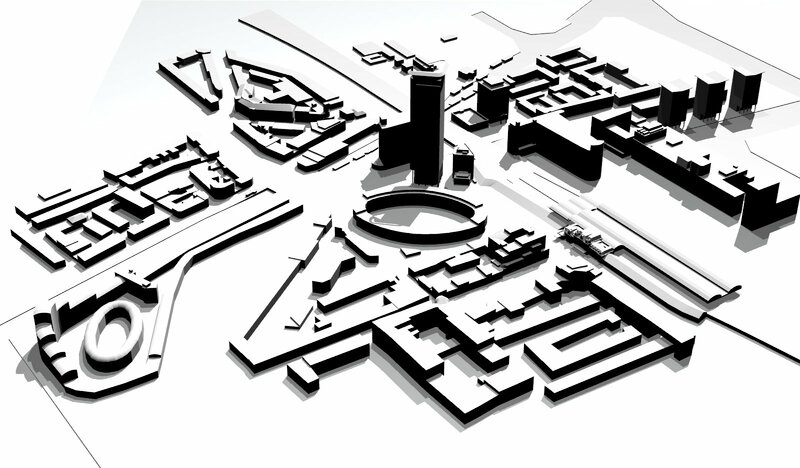 Key for Stebru is the integral and human approach of an assignment. This was also the approach for the development of the Sigma location. The Sigma location is located near railway station Den Haag HS. The project consists out of the development of several linked building volumes with student apartments, starter homes, commercial spaces and a multi-storey car park. The highest volume reaches 76 m.
The integration of new built in a dense urban area can lead to wind flow patterns that can be perceived as annoying or dangerous. 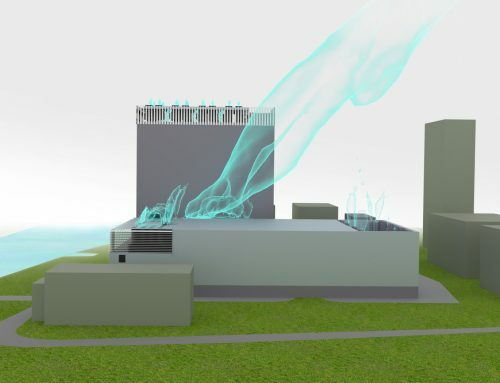 Thereby the new volumes will be placed at a relatively small distance from an existing high-rise of approximately 137 m. This will have an effect on the wind comfort for pedestrians and also the wind loads on both buildings. 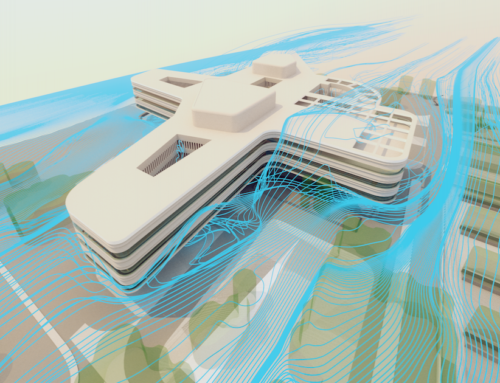 Engineering agency LBP|SIGHT and Stebru asked Actiflow to visualize the wind climate around the new built. 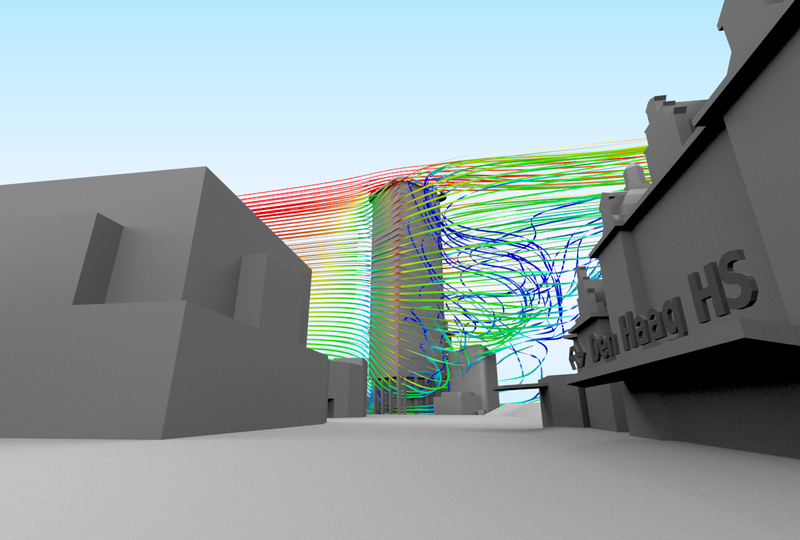 Additionally Actiflow gave insight in the wind loads on the building to make an estimation of the forces on the main supporting construction. The wind study showed the level of wind hindrance and wind danger for pedestrians. This analysis was executed following standard NEN8100. The results showed that the new built generally diminishes the wind speed in the surrounding urban area due to the blocking effect. However in front of one of the new entrance areas a small area was seen with wind speeds that are stronger than desired. The results of the simulations were investigated to find the cause for this problem and to design measures to reduce this area and these wind speeds. 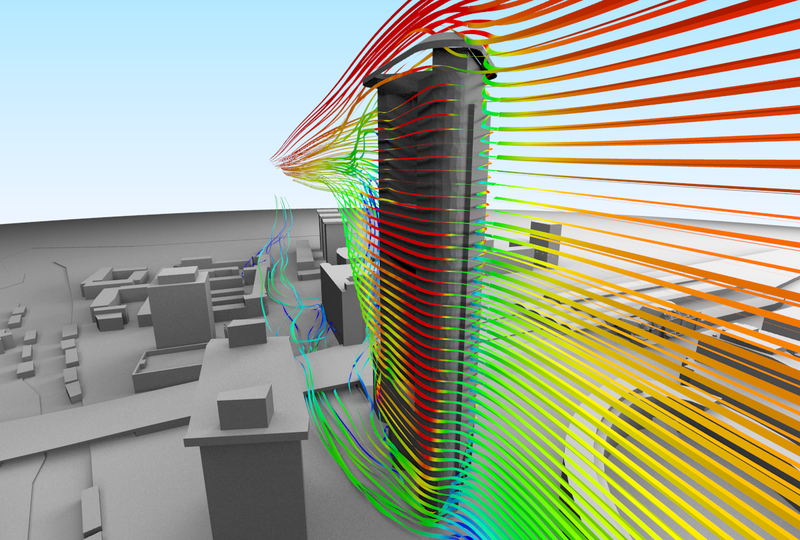 The influence of the neighbouring high-rise elements on wind loads was determined by deducing the load coefficients from the resulting pressure fields. These coefficients were converted to wind loads using the valid Eurocodes. This contributed to the structural safety of the building. 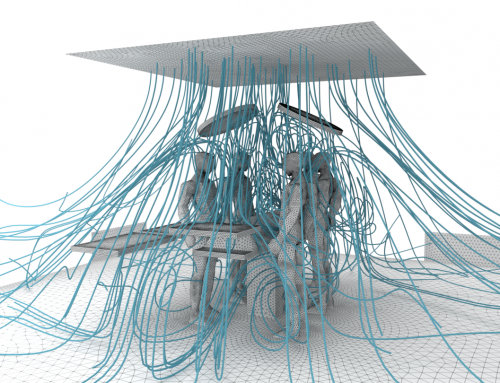 The entire process showed the importance of early adoption of CFD-simulations in the design of new buildings.